Many people find that they learn best from experience.However, if they don’t reflect on their experience, and if they don’t consciously think about how they could do better next time, it’s hard for them to learn anything at all. 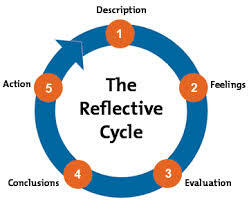 This is where Gibbs’ Reflective Cycle is useful. You can use it to help your people make sense of situations at work, so that they can understand what they did well and what they could do better in the future. It fits well into Coaching practice, especially where people want to work on what could be described as “liability behaviours”. 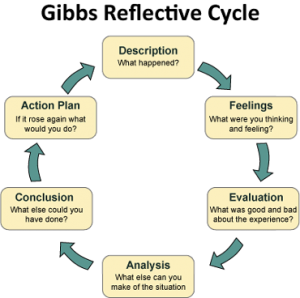 Professor Graham Gibbs published his Reflective Cycle in his 1988 book “Learning by Doing.” It’s particularly useful for helping people learn from situations that they experience regularly, especially when these don’t go well. 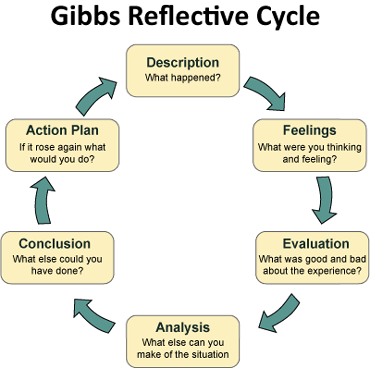 You can use it to help people think about how they deal with situations, so that they can understand what they did well, and reflect on where they need to improve. First, ask the person you’re coaching to describe the situation in detail. At this stage, you simply want to know what happened – you’ll draw conclusions later. Next, encourage them to talk about what he thought and felt during the experience. At this stage, avoid commenting on their emotions. Now you need to encourage the person you’re coaching to look objectively at what approaches worked, and which ones didn’t. Once you’ve evaluated the situation, you can help the person draw conclusions about what happened. You should now have some possible actions that the person can take to deal with similar situations more effectively in the future. In this last stage, you need to come up with a plan so that they can make these changes. Once you’ve identified the areas they will work on, encourage them to commit to taking action, and agree a date on which you will both review progress.